The recent amendment in the IBC code has open the gates of NCLT for home buyers to approach NCLT. The National company law tribunal or NCLT is the forum where now home buyers can seek a declaration to declare a builder company as insolvent or bankrupt and seeks to recover his money under the Insolvency and bankruptcy procedure. it sounds simple but the provision of Insolvency and Bankruptcy code has a lot of legal technicalities. It is not a cake walk. Even if the petition of the home buyer is accepted the builder company can go into morotoriam which can take a long time to decide a resolution plan and all the stakeholders will have a say especially banks which will have more say than a individual buyer. For availing benefit under the insolvency and bankruptcy code the buyer has to show default from the agreement. Mere delay in possession is not sufficient as it is a performance default. The buyer has to show that as per the agreement the builder has failed to make a payment or the buyer has cancelled the booking and builder has defaulted the refund. Even if you pressed for cancellation. 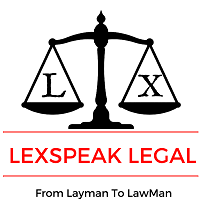 Then according to builder buyer agreement the refunded amount comes with many deduction and if builder settles with you at NCLT the payment he will give you will be without interst. Though the settlement is fast. In most cases, home buyers will be treated as secured creditors. It means they will be below the secured creditors like banks when it comes to recovery of dues. Only in specific cases, a homeowner can claim to be a secured lender. For example: Some developers promised buyers or investors that they would have the option to sell the house back at a specific value after certain years. In such cases, the purchaser can be a secured lender. Being an unsecured lender comes with its drawbacks. If a company goes into liquidation, secured lenders are first paid their dues, and unsecured lenders come next after them. « How to get Mutual consent fast..